Festivals and events are a recurring feature of the British summer and as the leading temporary water supply company in the country, Water Direct services many different types of events. 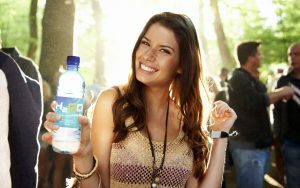 As an organiser, ensuring the quality of your drinking water supply is crucial to ensure the health and well being of visitors. Our services include a variety of ways to provide water for events, including water bowser and static tanker hire, water tankers and bottled water. We supply static tanks and bowsers which are available for use as standalone drinking water stations or can be connected to onsite facilities providing a longer term, temporary water supply. Our bulk drinking water tankers are then able to come in to refill these drinking water tanks, or can fill your own containers onsite if they are already in place. Other alternatives that Water Direct provides are bulk bottled water, available by the pallet or our 1,000 litre Aqube™ which is recyclable and easy to dispose of once the drinking water supply has depleted. Water Direct has the experience, expertise and dedicated drinking water equipment to ensure provision of a complete, quality assured service to any event. Customers can rest assured that the temporary water supply will be fully compliant with these current standards which were embraced by Water Direct over a decade ago.